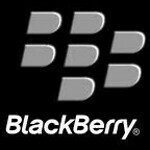 Virgin Mobile Canada sent out a tweet on Tuesday saying that the BlackBerry Bold 9900 will be joining the carrier's lineup 'Super Soon'. The Bold 9900 takes the highly regarded portrait QWERTY keyboard from the Bold 9000, keeps the same form factor, and adds a 2.8 inch touchscreen. This allows the user to get the best of both worlds, one of the best-if not the best-QWERTY keyboards on a handset combined with a touchscreen. [img right []:"Virgin Mobile Canada says the launch of the BlackBerry Bold 9900 is coming 'Super Soon'" /]For Virgin Mobile Canada customers who are waiting for the launch of the BlackBerry Bold 9900, the wait shouldn't be too long. We would imagine that 'Super Soon' is faster than soon. But it would be a good idea if RIM doesn't rush out this device. After all, RIM has had a bad track record with touchscreen devices. The first touchscreen BlackBerry, the Storm, was launched half-baked and required numerous firmware updates before it became a valuable tool for users. The BlackBerry Torch, with its portrait sliding QWERTY, was a step in the right direction except for the weak specs on the phone. The resolution of the screen was not up to snuff and as we told you, the Torch 2 will apparently bring the phone's specs up to a level where it can compete with the Apple iPhone and Android. The BlackBerry Bold 9900 appears to be a challenger to Apple and Android right out of the box. Besides the improved OS and browser, under the hood is a 1.2GHz single-core processor and 768 MB of RAM. A 5MP camera is on back with the ability to capture video at 720p. A microSD slot can accept a 32GB card. With a Q3 launch expected and Virgin saying it will happen 'Super Soon', perhaps the Bold 9900 will see the light of day as soon as next month. Pricing is still unknown at this point.